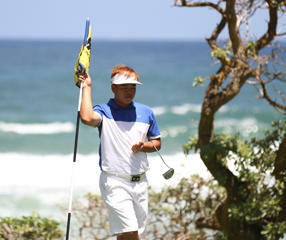 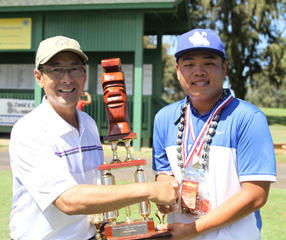 Shawn Lu led Moanalua to its second state boys title in four years, earning medalist honors to help Na Menehune to a six-shot victory over three-time defending champion Punahou. 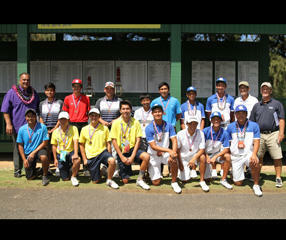 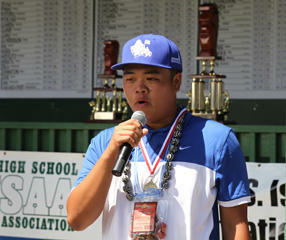 Moanalua, which overcame a 10-stroke first-round deficit, is the only OIA team to win the boys championship since 1980. 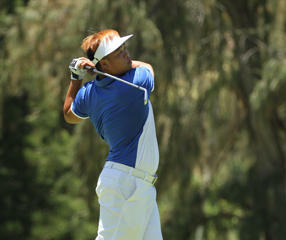 Lu closed with a 1-under 71 and won by four at 143.